Through September 12th, VeraBradley.com is offering 50% off all sale styles AND score FREE shipping! 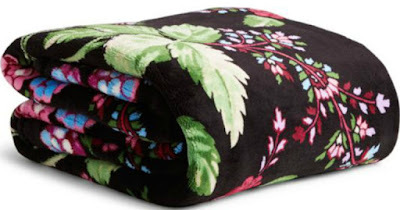 As just one idea, select throw blankets are on sale for just 24.50 (Retail $49) shipped right to your door! These cozy throw blankets are generously sized at 50″ x 80″ to keep you toasty warm on the couch, in your favorite chair or as an extra layer on your bed.